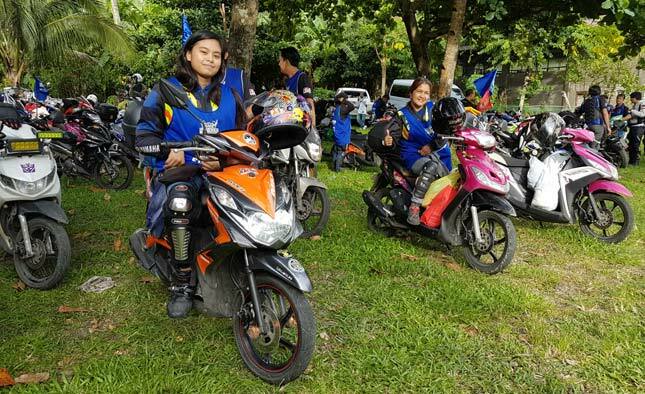 Over 250 riders from a handful of different clubs braved the height of an early morning thunderstorm and headed for the Yamaha Y-Zone showroom in Mandaluyong City on August 27 to take part in the Yamaha Rev Camp Adventure Ride to Real, Quezon. Each rider was determined to reach the final destination, with not a single participant showing hints of backing out. 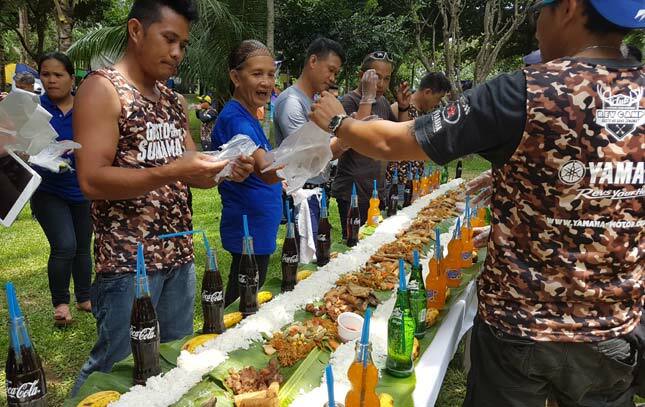 The Japanese motorcycle maker had set up a camp site where its guests would be pampered with sumptuous food, drinks and entertainment--all in celebration of Yamaha's strong sales performance in the country. The event went by the slogan: Gusto mo bang sumama? The answer, obviously, was yes. We took off from the rendezvous point all clad in rain coats and safety riding gear. As luck would have it though, the skies cleared after just a few minutes of riding en route to Tanay. 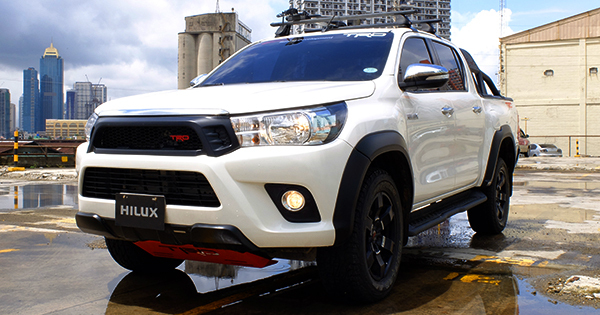 The better the weather, the better the ride. 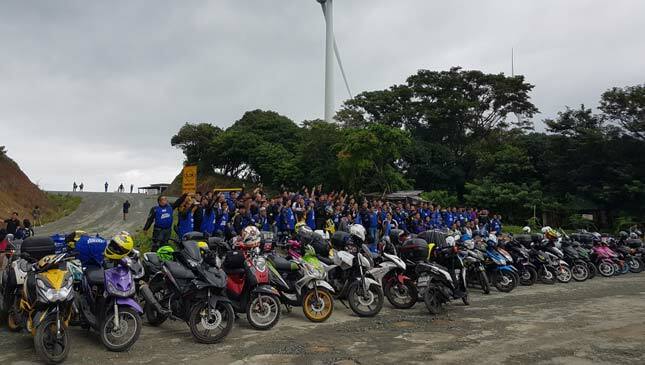 Coming from different bike groups, many riders either wore their exclusive club shirts or mounted their group flags on their motorbikes in order to distinguish their members from other groups. Despite their strong sense of attachments to their respective organizations, we all rode in a double-file formation. We were one big family of proud Yamaha owners after all. 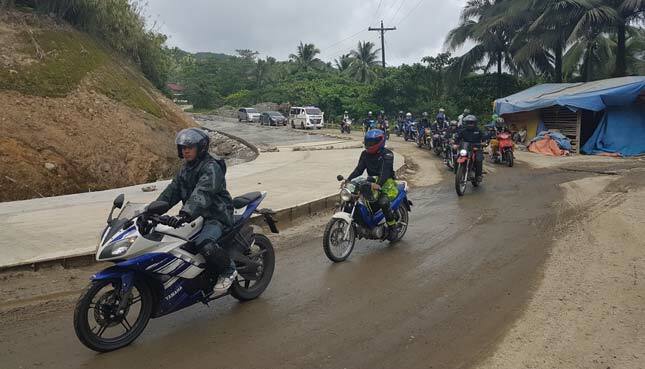 Our convoy stretched to about half a kilometer, with residents of Pililia, Rizal, waving in awe at the sheer number of Yamaha riders passing through. Upon reaching the Pacific Recreation Kamp in Real, we settled into tents put up near the beach front. With hungry stomachs after the three-hour journey, we were treated to a boodle fight, with fried bangus, pork adobo, pansit and veggies. Good weather, good food, good times. 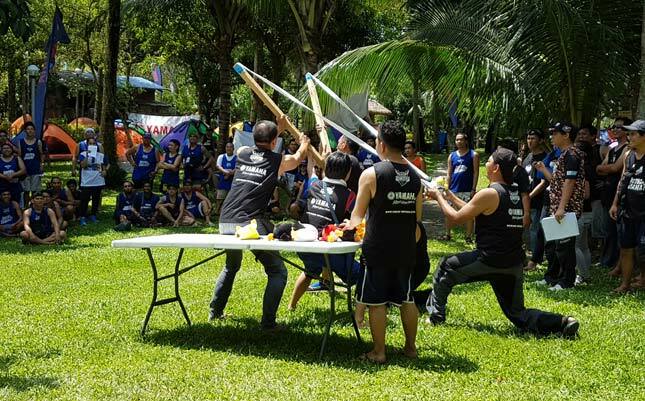 Games like the Angry Birds Feat and the XTZ125 Off-Road Competition enabled participants to experience the power of the dual purpose bike in traversing through loose sand and deep mud. Winning teams were given riding apparel like helmets and jackets courtesy of MotoWorld. 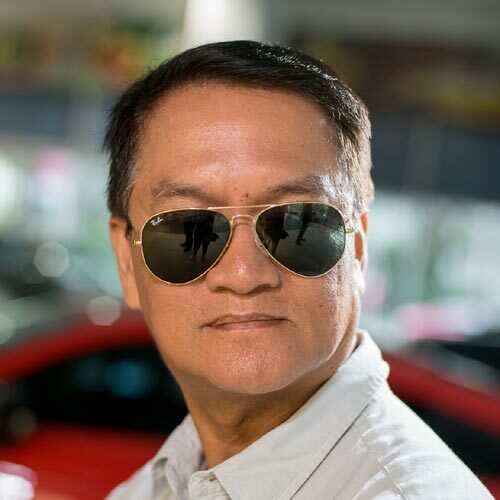 Later in the evening, Yamaha Motor Philippines sales and marketing director Kaoru Ogura led the lighting of the bonfire along with the leaders of the different Yamaha motorcycle clubs coming from Batangas, Laguna, Bulacan, Rizal and Metro Manila, to signify their united stand for the brand. 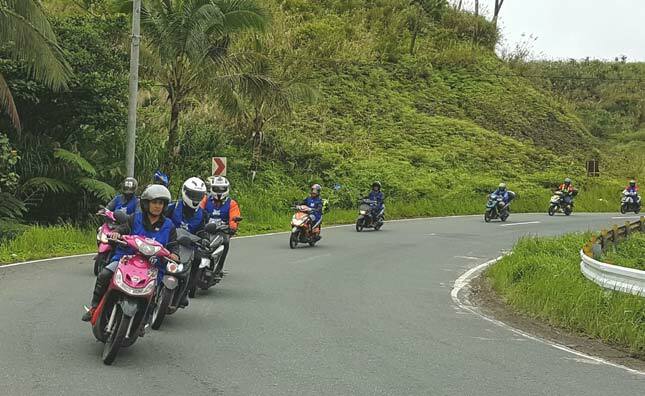 In thanking riders, Ogura said more Yamaha Rev Camp adventures are being lined up for the Visayas and Mindanao regions in the coming months during the onset of La Niña. Once again, Ogura asked the Yamaha riders: Gusto mo bang sumama? Again, obviously, the answer is yes.